Boil potatoes and peel them. Prick them using fork and saute with a pinch of salt in a tsp of oil until they starts getting light brown in color. Heat a pan and dry roast coriander seeds and sesame seeds together for 3-4 mins. Transfer them to a mixture jar along with coconut, peanuts, coriander leaves, ginger, garlic and green chillies. Grind them all together to make a smooth paste. Heat oil in a deep vessel and add cumin seeds. Once it crackles, add asafoetida and freshly ground paste. Cook it for 2-3 mins and add kasoori methi along with all the spices. Add pre-cooked potatoes in it and coat them well with green gravy (add a tbsp or 2 of water if required). Serve hot with phulka roti!!! You can eliminate using green chillies and use 1/2 tsp red chilly powder instead. Also, thickened cream can be added to make a rich green gravy! Fantastic, Shruti! I truly cannot wait to try this. Do you think I could cook Kandi or purple yam in this manner? And Maa-ke-Haath ka khana is Maa-ke-Haath ka khana! 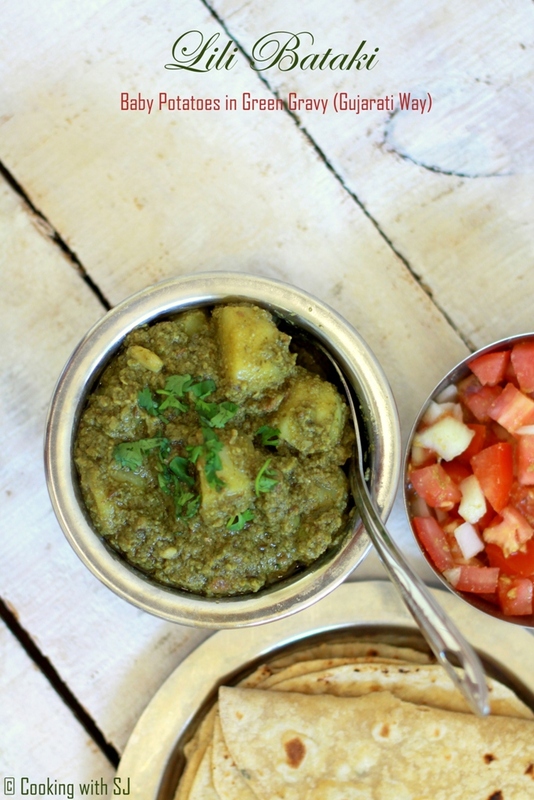 a different kind of sabzi is always welcome! Lunch is mostly dal sabzi and roti.. and to make the mundane more interesting is always a challenge for me. I am going to buy baby potatoes today.. just for this. Thank you for the recipe. 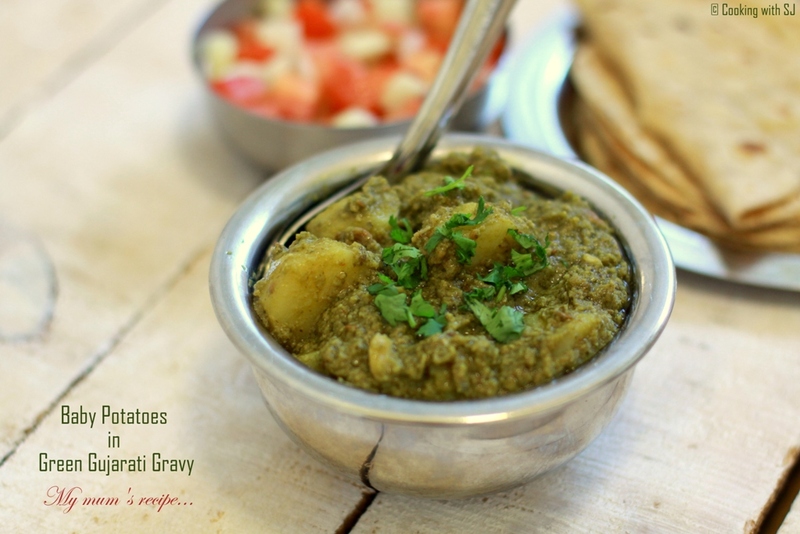 sounds so flavorful and delicious curry with my all time fav potatoes! yummm!! The pics are so very tempting!! Nice blog!! hmm… never had this. this looks very delicious. now, i need to make sure this gets made when i see my mom or visit india. thanks for sharing.